Two (2) bracelets. 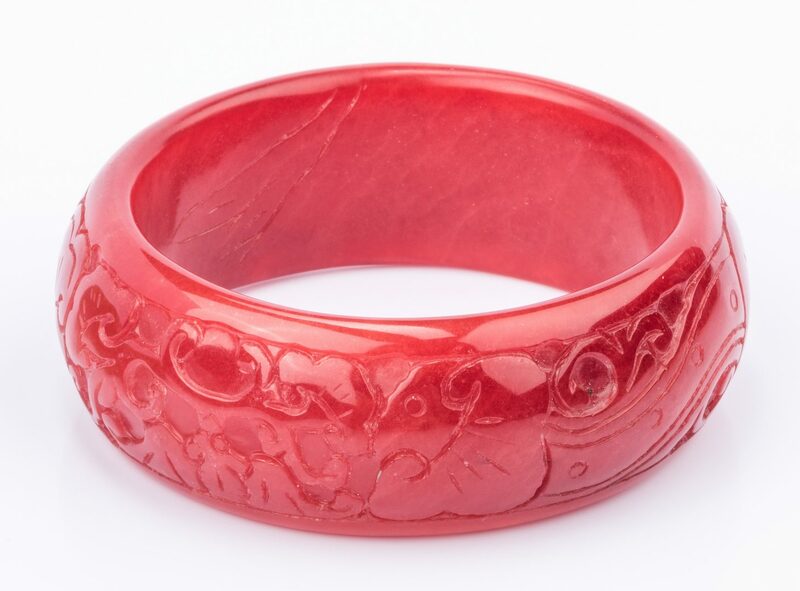 1st item: Carved carnelian bangle with animal decoration, 28mm wide bracelet, 65.78mm interior width. 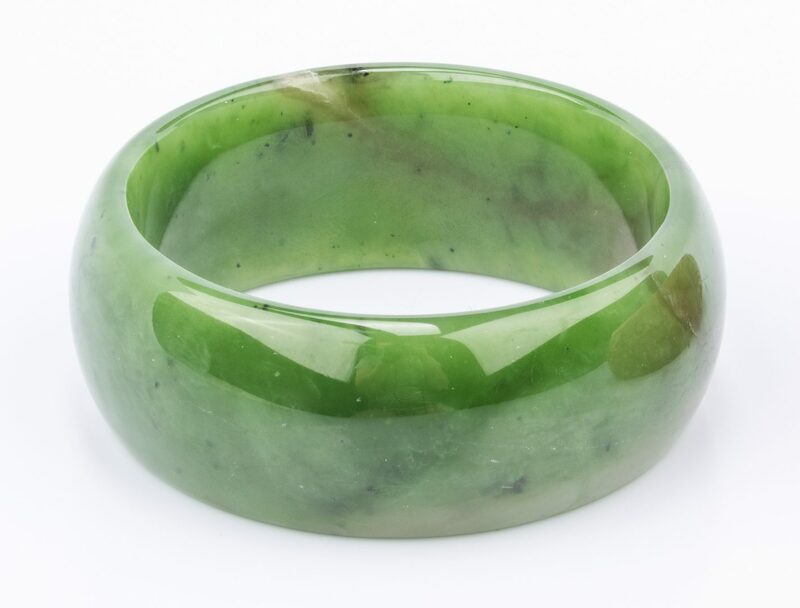 2nd item: Smooth spinach jade bangle, 25.30mm wide bracelet, 54.67mm interior width. Both bracelets 20th century. CONDITION: Both bracelets in very good condition.